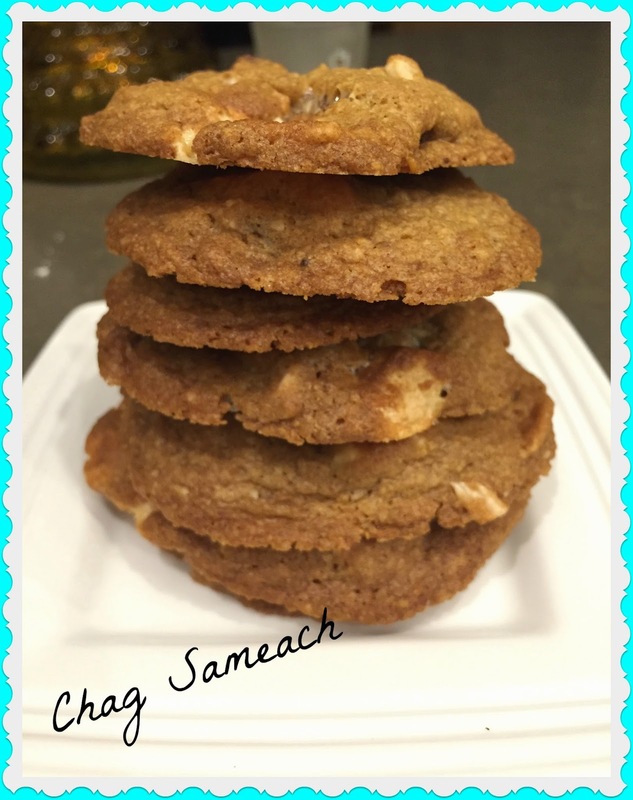 Living Lollie: Elijah's Favorite Chocolate Chip Cookies - Yes, they're kosher for Passover! 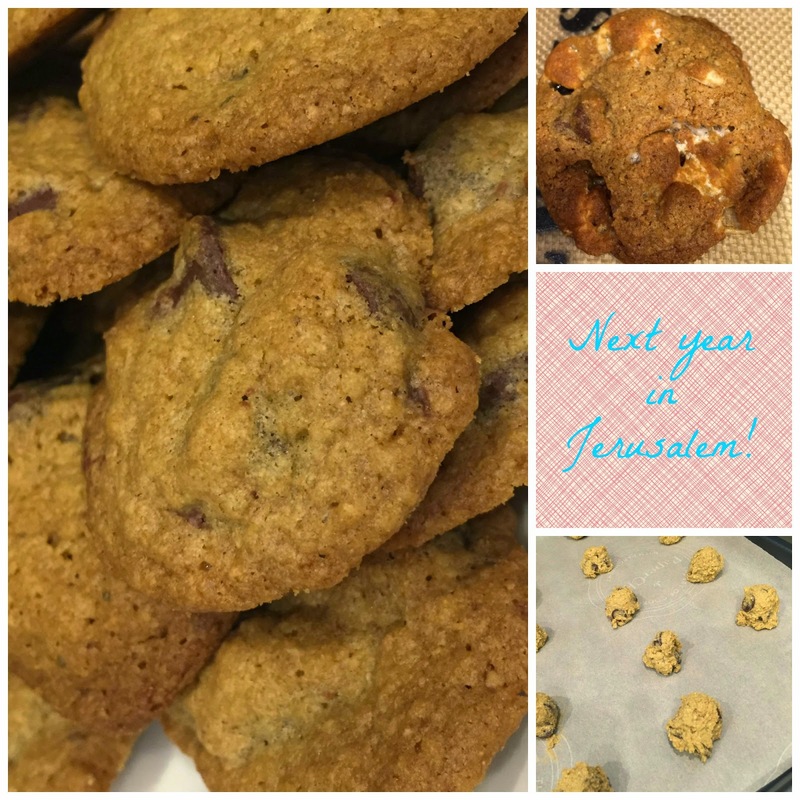 Elijah's Favorite Chocolate Chip Cookies - Yes, they're kosher for Passover! This year i'm in charge of desserts! First i started out with a chocolate chip cookie recipe that i got from Facebook! You'll see i modified it - adding mint chocolate chips for Jessica, and then i made a dozen rocky road style -- adding marshmallows, almonds and more chocolate chips. I loved the gooey marshmallows that remained on the cookie sheet after they came out of the oven! In the bowl of an electric stand mixer fitted with the paddle attachment, cream the butter, brown sugar and granulated sugar. With the mixer on low speed, add the matzoh cake meal, potato starch, vanilla pudding, baking soda and salt. Add the vanilla and chocolate chips. Using a small cookie scoop, drop the dough onto a parchment lined baking sheet and bake for 10-12 minutes until the edges are slightly brown for a soft and chewy cookie. Or bake 12-15 minutes for a crispy and crunchy cookie. Elijah's easy going -- he'll take them any way you make them. Even though I couldn't have them they still tasted great!